Russia continues to accuse Western nations of bullying and hypocrisy. This comes as the Kremlin consolidates its hold on Crimea, which it begrudgingly considered Ukrainian soil only as far as Tuesday — lessons in democracy coming out of Moscow. An annexation treaty Putin signed with pro-Russian Crimean leaders says the autonomous territory will be fully integrated into Russia after a transition period. Kyiv, Brussels and Washington twitched. At least, that’s how jubilant Muscovites and their politicians interpreted Western expressions of outrage over the move and a first phase of sanctions. The powerful in Moscow scoffed at the measures. In contrast, in the biggest crisis in East-West relations since the Cold War, US President Barack Obama sought to present his Russian counterpart’s move as motivated by impotence at home — troops in Crimea or not. Russia accuses the new pro-Western authorities in Kiev of endangering Russian-speakers in eastern Ukraine. It says it will insist that its compatriots’ rights and freedoms be fully respected. Warning of the risks that could come with a weak response to Moscow’s absorption of Crimea, Washington foreign policy pundits Zbigniew Brzezinski and Brent Scowcroft have been analysing Putin’s justification of his moves against Ukraine. Both Americans are former US National Security Advisors. At a conference at the Center for Strategic & International Studies think tank in Washington, DC, they said a surprisingly efficient annexation of Crimea ends a quarter of a century of constructive relations between Russia and the United States. Neither Scowcroft nor Brzezinski see Europe’s new insecurity as a return to the Cold War; they see it in a different context of 21st century reality. Scowcroft said Putin’s action could have been averted if the West had paid attention to Urkaine’s economy, but, he said, both the US and Europe have been lazy about the whole thing. 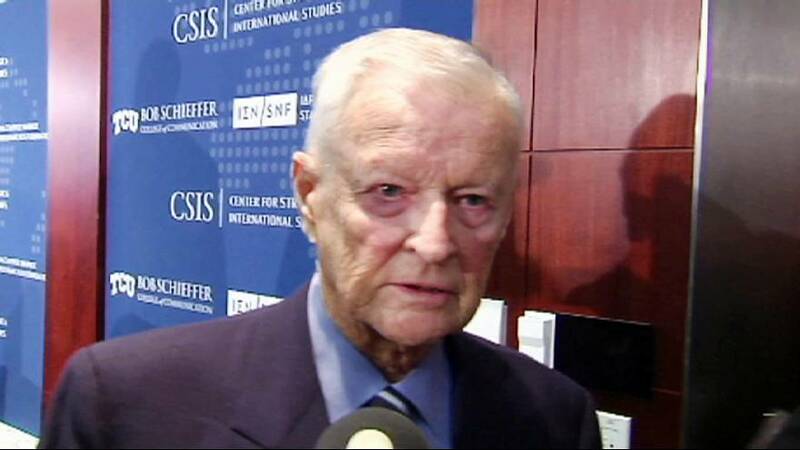 Our correspondent Stefan Grobe asked Brzezinski if the initial sanctions taken against Russia are enough. Brzezinski answered: “Well, they [the sanctions] are like the introductory phase of a dinner, just a little bit of a preliminary bite, but not too much bite.